Most moms don’t get the chance to say something like that, but Angelina Jolie is an unusual case. Fairy tales continue to the be the special of the day, and one that we’ve been looking forward to getting more info on is Disney’s updated retelling of the classic Sleeping Beauty, now known as Maleficent. The reason for the title change is simple … this version of the story is focusing on the evil witch and the events that caused her to be, well, so evil. 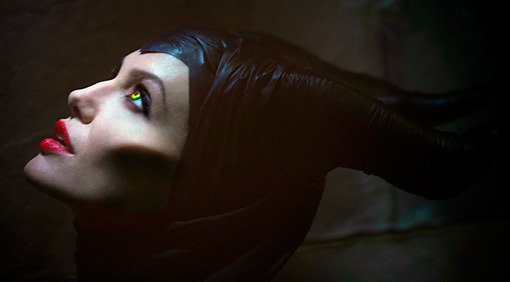 Now we get our first picture of Angelina Jolie in the lead role as Maleficent. Check out the image below, along with the official synopsis, such as it is right now. 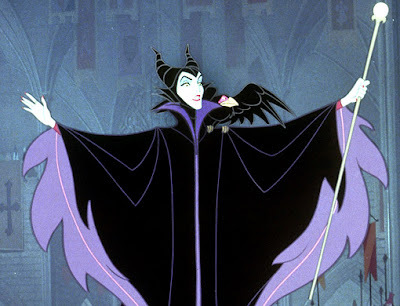 Maleficent is scheduled to hit theaters in 3D on March 14, 2014. Official Synopsis: The live-action film explores the origins of the evil fairy Maleficent and what led her to curse Princess Aurora in Disney’s animated classic Sleeping Beauty. Leading a team of visionary filmmakers known for creating and transporting audiences to new and exciting worlds, Academy Award®-winning production designer Robert Stromberg (Avatar, Disney’s Alice in Wonderland and Oz The Great and Powerful) will direct with a script by Linda Woolverton (Beauty and the Beast, The Lion King, and Alice in Wonderland). Maleficent is produced by Joe Roth (Disney’s Alice in Wonderland and Oz The Great and Powerful).